Coy Clothes : Lisa Dickie is the designer behind Coy Clothes, she live in Toronto in a lovely house with a lovely family but one day I decided I needed to add one more lovely aspect and that was to express myself through creating saucy t’s with funky graphics. I received a awesome Tee shirt to try and review from Coy Clothes in charcoal grey. 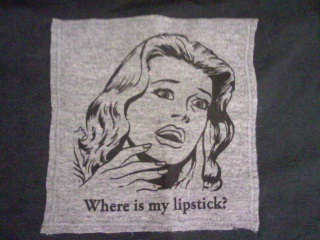 The front design has a 40's/50's style logo of a woman gasping and under her says " Where is my lipstick?..The perfect design for the design of the woman. There was alot of designs I could have chose from, But being the avid makeup freak that I am this shirt was perfect for me! 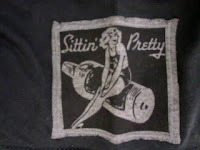 On the left side of the sleeve is a 50's style pinup girl sitting on a glass bottle that say's "Sittin' Pretty" I love the pinup style logo's so I thought this was a great addition to an already wonderful t-shirt! The bottom right has yet another cute addition to this shirt there is a red, white and black tag sewn into the shirt of the Coy Clothes logo of a brunette retro 50's woman on the phone and as you can see the text on top that say's Coy Clothes, and on the side it say's Fun Fun Fun. 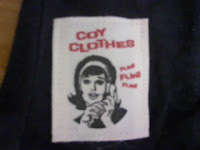 I think it's a sassy logo, and it's a great way to promote the wonderful coy clothes website. Coy Clothes are hand-sewn shirts for the hip babies, kids, men, and women in your life and or you! Coy Clothes images range from the sweet to the sassy. The Tshirt fabric is super soft to the touch and is stretchy which I love. I hate tight fitting shirts that cling to your fat and it's even worse in the summer time when you are sweating. Another plus about these shirts is the fabric is Bamboo! 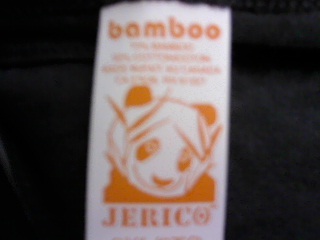 70% Bamboo 30 %Cotton. Made in Canada. Which is great for the planet! As soon as I got this shirt in the mail I threw it in the washer to see how it stood up (I do this with every clothing review) The shirt stood up to the test! between the washer, dryer, and the iron the shirt was as good as before .. we before I put it through the test..you can find tons of designs, colors, and fits to match your lifestyle and your craziness I have! 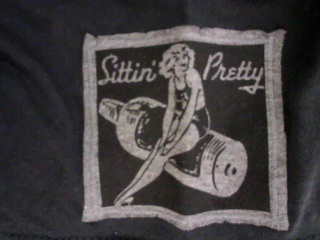 Coy clothing also has other cute and sassy products other than Shirts such as funny cards. ♥ I receive no monetary compensation for this review. I was provided a t-shirt to try and give my honest opinion.